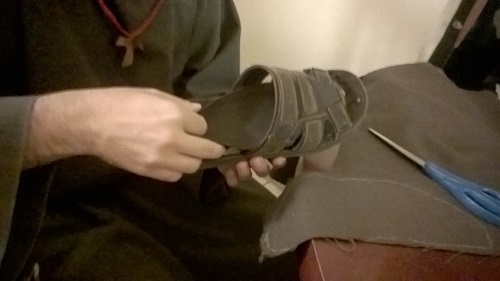 This year the Franciscans of Life, ever faithful to the inspiration of St. Maximilian Kolbe, have dedicated several blog posts to articles on a variety of topics spanning from Franciscan studies to theology, to current Church issues to life issues. 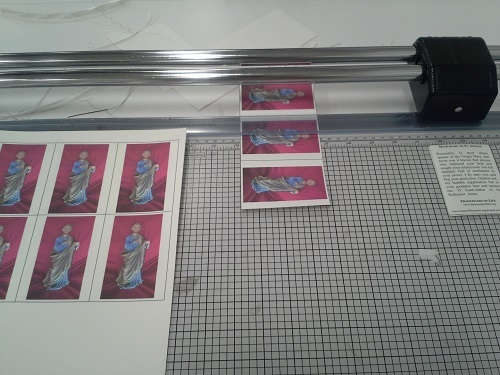 We have also embarked in a full redesign of our website, franciscansoflife.org, that was launched in June. 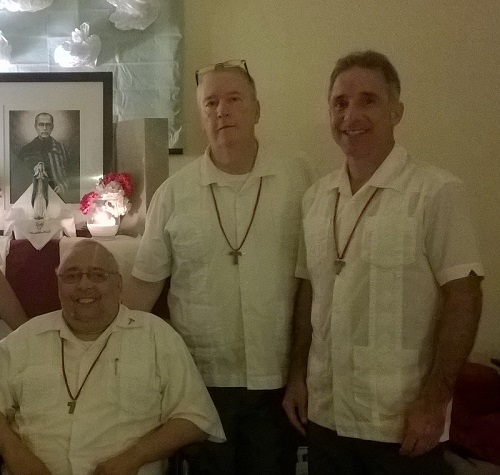 In January, the Archdiocese of Miami “Let’s Talk” Blog featured our May 2014 article “What’s a brother? Do we really need them?” under the title “What is a brother?” (they even provided a Spanish translation: “¿Qué es un hermano?“). In February, St. Bride’s Catholic Church in Bothwell (Scotland), a parish to whom an enclosed community of Poor Clares is attached, featured our January 2015 article “Conscience in crisis” in their parish newsletter (click here). 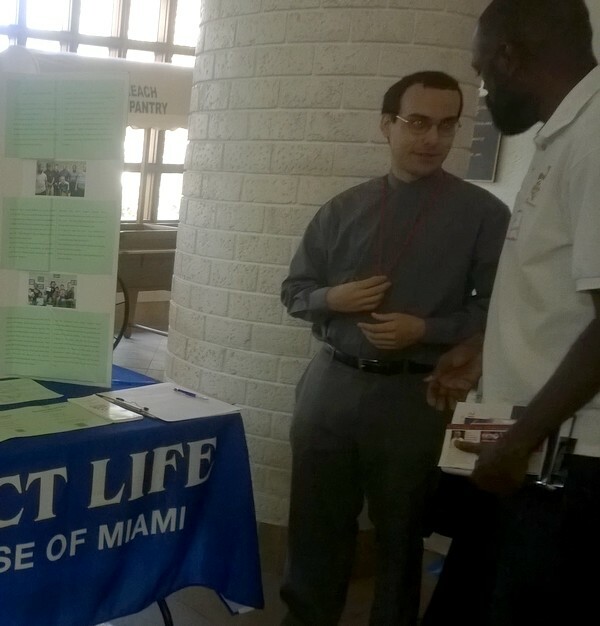 In May, Respect Life Ministry Archdiocese of Miami featured content from our April 2015 article “Project Joseph – Better Men, Better Dads“, including the Youtube video presentation that we produced, on their new web page about Project Joseph (click here). They also mentioned that FFV provides initial and ongoing formation for Project Joseph mentors. In June, the Institute on Religious Life featured our emerging community in their Vocation Blog (click here). 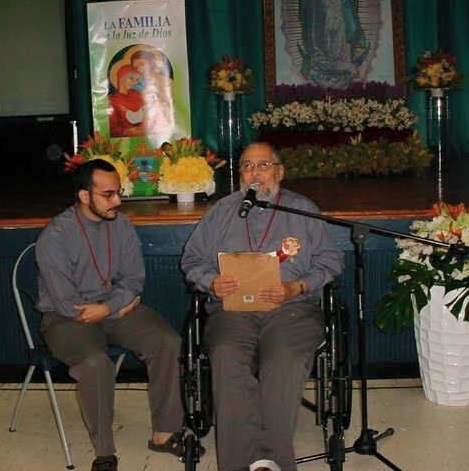 In 2009 Brother Jay Rivera, founder of the Franciscans of Life, was volunteering at Respect Life’s Pregnancy Care Center in Hollywood, Florida when he began to notice that the fathers of the infants in danger of being aborted were not being served by Respect Life Ministry. 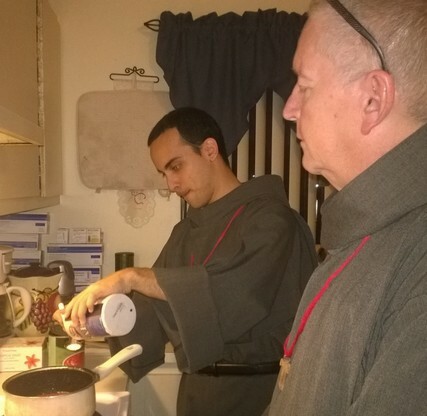 Like many other Franciscan fraternities, the Franciscans of Life place themselves under the protection of the Immaculate. Brother began to pray to the Immaculate for guidance. 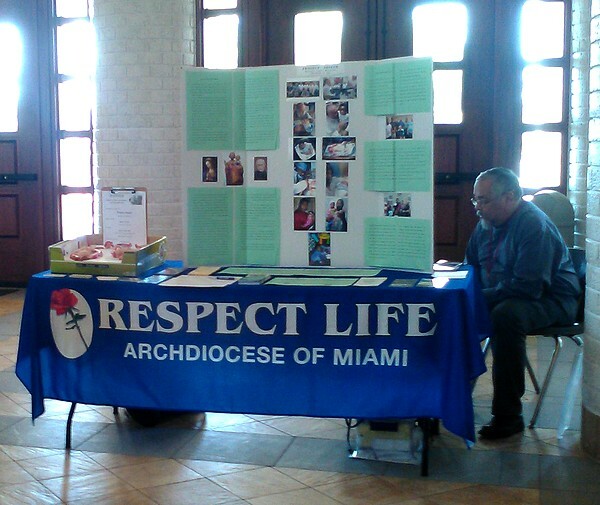 He also spoke to Joan Crown, Archdiocesan Director of Respect Life Ministry for the Archdiocese of Miami. He laid out before them his concern that the fathers of the preborn babies were out of the loop. They didn’t know what to do or what was expected of them. Many of them were frightened by the sudden news of a pregnancy, wanted to walk away from the situation in the hopes that it would go away or offered to pay for an abortion as one would pay someone compensation for damages in an accident. The mothers were holding on to their preborn babies, but uncertain whether to go forward with the pregnancy. Thanks to the support from the volunteer counselors and teachers at Respect Life, most of the mothers were determined to give the pregnancy a chance. However, giving your preborn child a chance is not the same as eagerly awaiting his birth. That chance can be revoked at any time. Brother began walking up to the dads in the parked cars and invited them to come into the center. The men seemed friendly enough, but not too sure what to do about this invitation. They were hesitant. Of course, Brother Jay had no idea what he was going to do with the men either. He knew that he had to offer them something. Finally one father, whom we shall call David, came inside. He was not too eager to be there, but he seemed curious to find out what this older gentleman who looked like a monk wanted. The first time that he entered the center they spoke for about 45 minutes about anything that came up. That night, Brother again knelt in prayer asking for guidance. He prayed to St. Francis of Assisi, founder of the Franciscan family, to the Immaculate, patroness of the Franciscans, and to St. Maximilian Kolbe, a Franciscan saint who is the patron of pro-life workers. Simply put, he called a team meeting and placed the situation on the table. The next day would be the first Sunday of the month, the day that the Secular and Regular Franciscans have their local community gathering. Brother went to bed and dreamed. 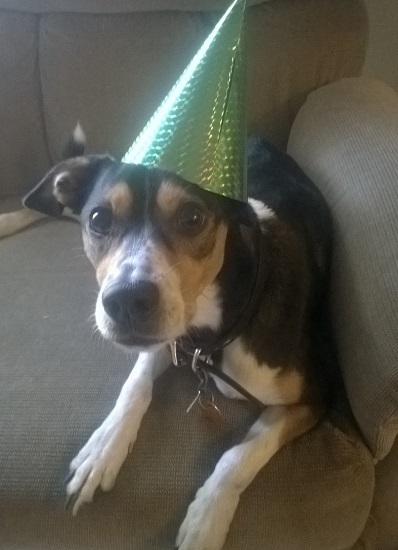 He was in a small room that was illumined, but there were no signs of electricity, no flames, or windows. The room just glowed. In the room stood a friar with his back to the door. Brother Jay recognized this friar as Brother Francis of Assisi. Brother Jay saw the grey sleeve of Francis’ habit rise as he raised his arm pointing to something in front of them. When he looked, Brother Jay saw a wooden statue of St. Joseph, about 10 inches tall, holding the child Jesus in one arm and something green in the other hand. 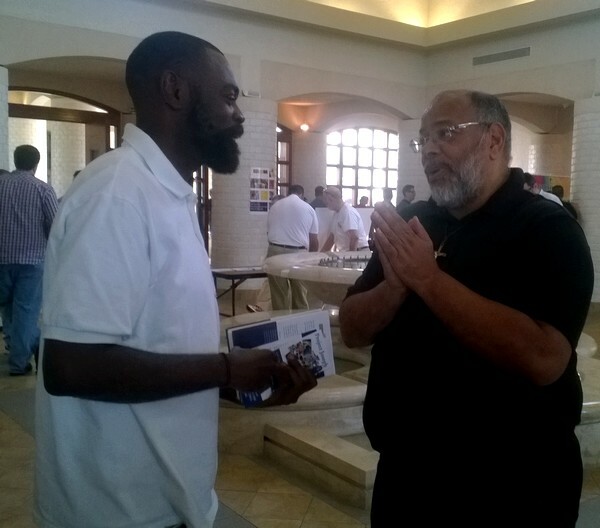 The next day, he attended the fraternity meeting and shared his concern with his Franciscan brothers and sisters. He mentioned the dream as well. A Franciscan sister who was at the meeting got up and left the room. When Brother opened the box, there was the wooden statue that he had seen in his dream. 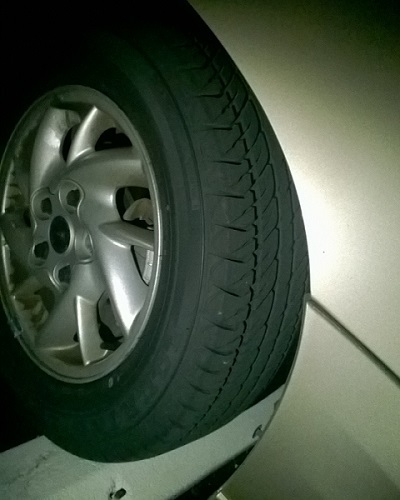 It was 10 inches tall. 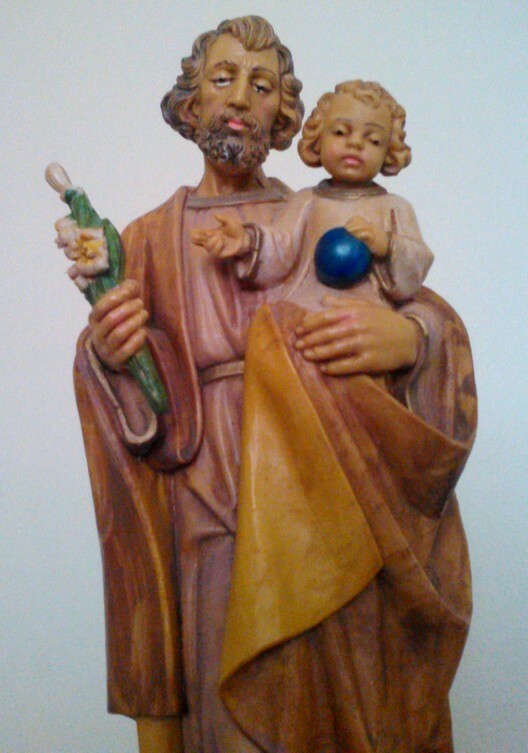 St. Joseph was holding the child Jesus in one arm and something green in the other hand. They were lilies. This was the confirmation. Saint Joseph had accepted the challenge. He would walk with Brother Jay and the expectant dads in crisis pregnancies. Where Is Project Joseph Today? Today, Project Joseph has evolved into an archdiocesan network of formation and service for men who are in crisis pregnancies. The program operates out of four of the five archdiocesan pregnancy help centers: Hollywood, North Dade, South Dade and Fort Lauderdale. At each center there is at least one trained mentor who provides small group education to fathers, counseling and material assistance. Fathers may attend an entire program of 18 modules divided into three blocks of six: Becoming a Better Man; Parenting; Future Planning. Dads are “paid” Parent Dollars for every session they attend. They can cash in these parent dollars for anything from diapers to cribs and mattresses. A father may join Project Joseph at any point from the moment of conception until the child is one-year old. Project Joseph is always there to help if a father needs to return later. 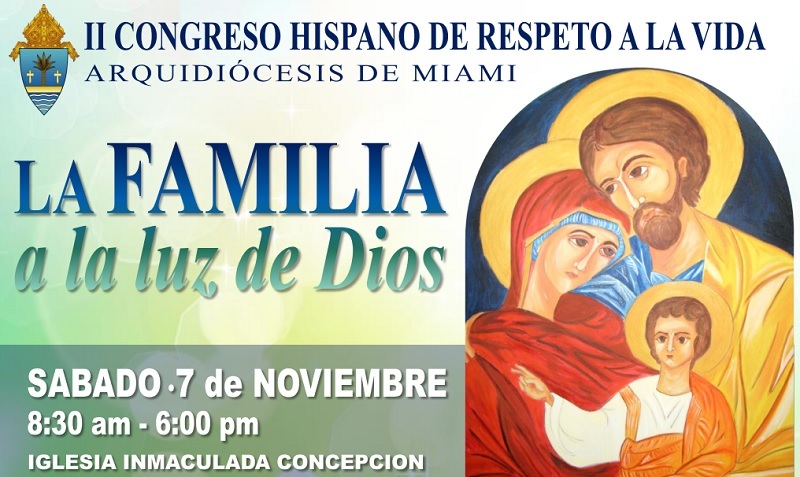 There is no charge for the services that we provide, nor do we charge the Archdiocese of Miami for such services. 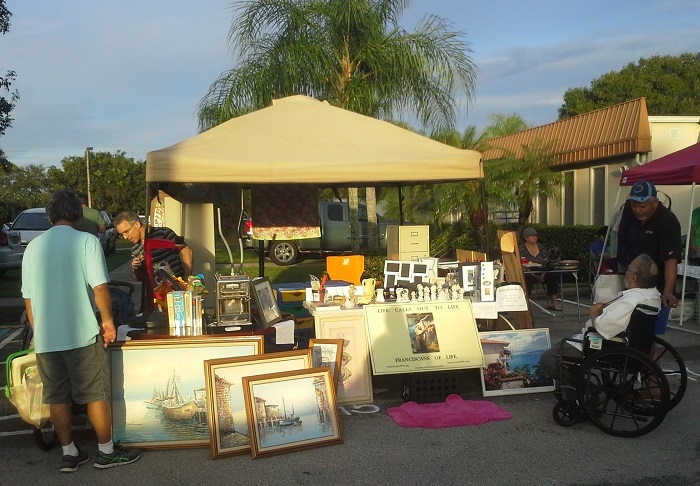 Project Joseph is financed through grants and donations. 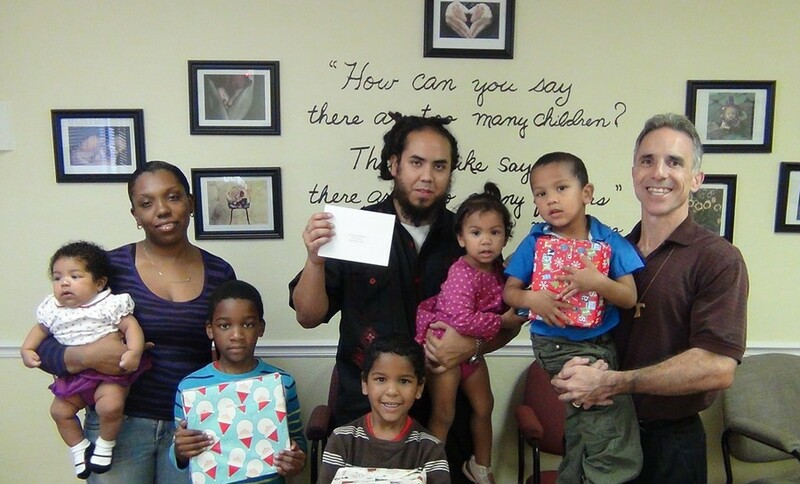 Through the year, Project Joseph serves approximately 20 fathers per week, 50 weeks out of the year. The only time the program is closed is during Holy Week and Christmas week. It is run by men for men. Our mentors are volunteers from the community. They are Catholics in good standing with the Church. 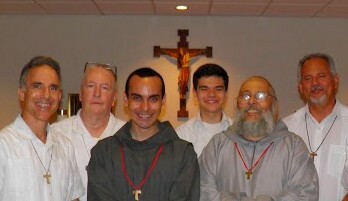 The Franciscans of Life provide initial and ongoing formation for the mentors. Project Joseph is grounded in the spirituality of St. Francis of Assisi. Fathers and mentors are brothers who walk side by side on this journey, as did Saint Francis of Assisi and those whom he and his brothers served. The mentors approach the fathers from the “bottom up”. Like Saint Francis, they are here to serve, not to preach, teach, correct, discipline or be heard. They preach the Gospel through their lives and through their unconditional love for every man whom they serve. We train our mentors in the pastoral methods of Saint Maximilian Kolbe, a Franciscan Friar and patron of pro-life workers. 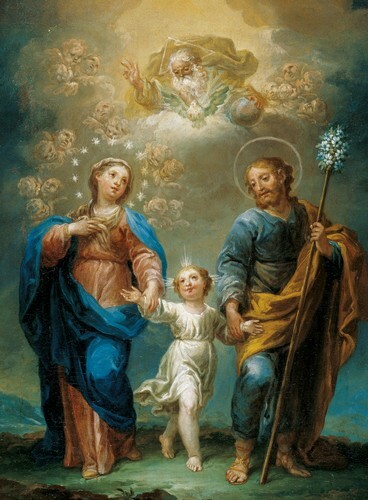 Like his spiritual father, Saint Francis, Saint Maximilian placed his trust in the Immaculate. He planted the seed and allowed her to guide him and those with whom he walked. Like Christ, he was willing to lay down his life for his brother, especially if that brother was the father of a family. Our mentors are formed in the spirit of total detachment from self and confidence in the Immaculate and Divine Providence. We do what we need to do for the dads and we get out of God’s way. If you are a man in the Archdiocese of Miami, ask yourself if God is inviting you to help us proclaim the Gospel of Life by walking with your brothers. Do not worry about not knowing what to do. We in the apostolate will walk with you and our brothers. Contact us to find out more! As Holy Week moves along, the Franciscans of Life are also moving right along with the liturgy and the celebration of the paschal mysteries. 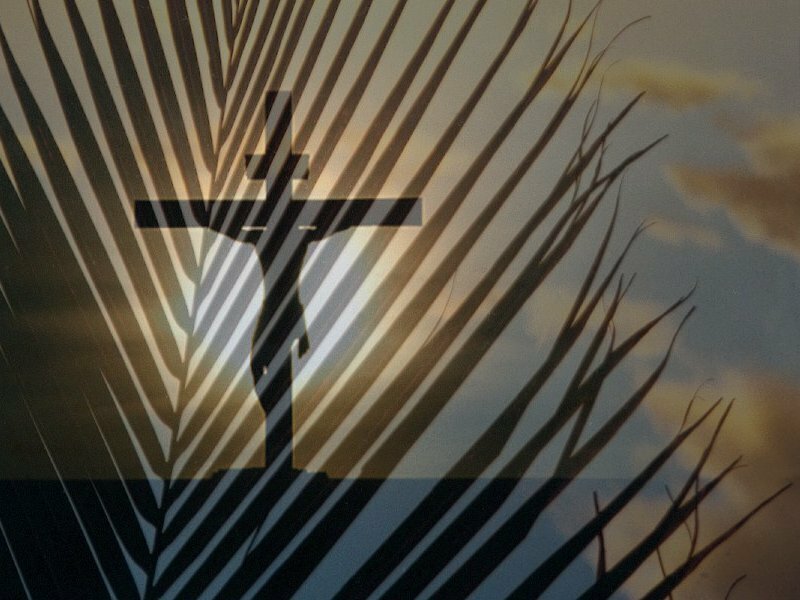 The week began with the liturgy of Passion Sunday (Palm Sunday). The brothers attended the liturgy as family. It was a very moving day for us, especially for those brothers who had never seen the liturgy of Palm Sunday in the Ordinary Form. The beauty and solemnity of the liturgical celebration removed any doubt that the Ordinary Form can raise the heart and mind to God as much as the Extraordinary Form. In both, Christ does his part. 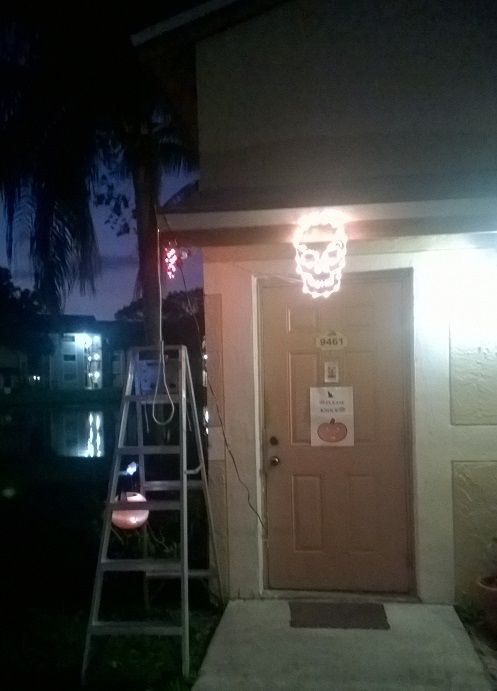 It is up to us to do our part. 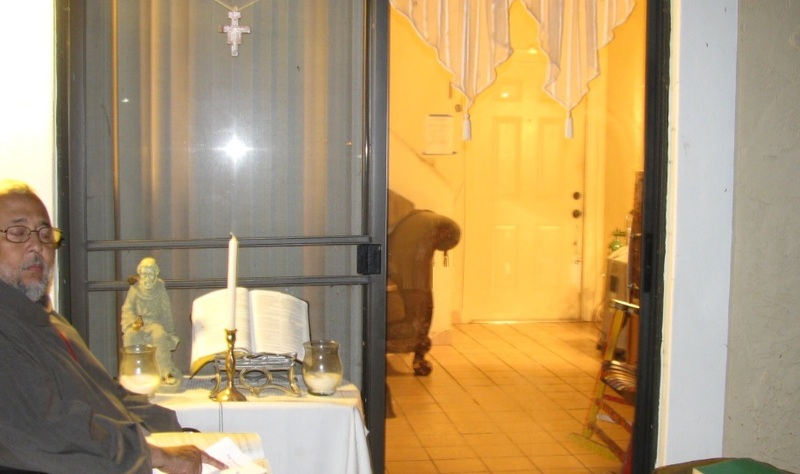 The young men and women from LifeTeen reenacted the Lord’s passion as the Gospel was read. We were impressed to see how prayerful the kids looked and how well they memorized the many lines in the Gospel reading. Of course the priest and the deacon helped out during the reading. Catholic education. We thank his parents and the Marist Brothers for their investment in Alberto. 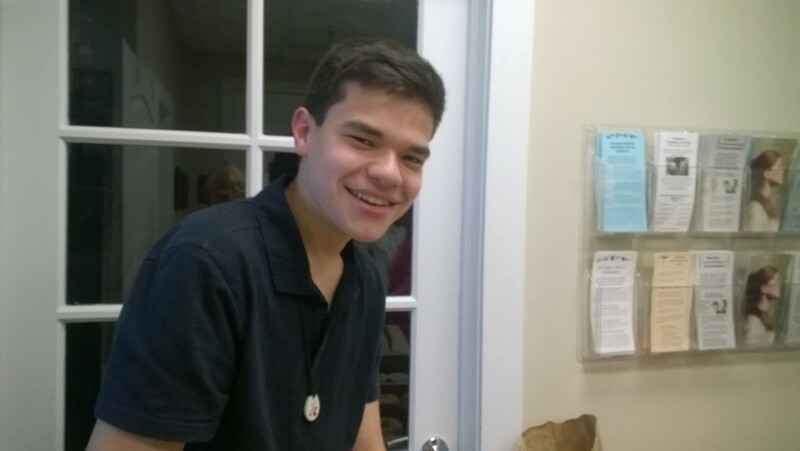 Postulant Alberto is active in the community, especially in youth retreats. As a student the only thing we can say is that he is brilliant. He was accepted by three leading universities in the United States, all of which offered him full scholarships. 14 Now that I, your Lord and Teacher, have washed your feet, you also should wash one another’s feet. 15 I have set you an example that you should do as I have done for you. 16 Very truly I tell you, no servant is greater than his master, nor is a messenger greater than the one who sent him. 17 Now that you know these things, you will be blessed if you do them. (John 13:14-16). As we have said, he is academically gifted, speaks two languages, is the class president at his school, has been a retreat speaker and altar server, is an excellent drummer and an aeronautics aficionado. Most important, he is a man of great faith and a deep prayer life. 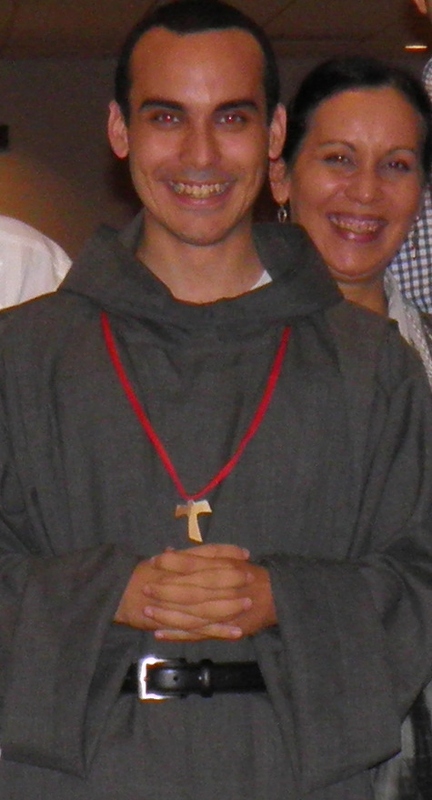 We have also received a new brother as novice for the Secular Franciscans of Life, Brother Luis Charbel. Br. 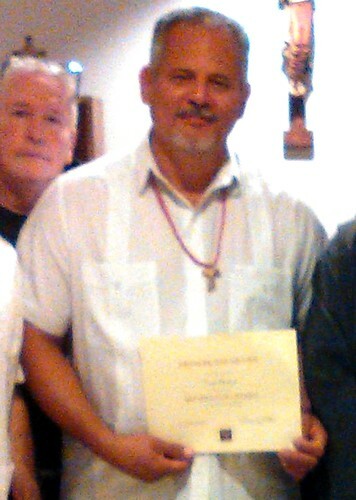 Luis Charbel, FFV was received as a novice at St. Maximilian Kolbe Chapel. Brother Bernardo Di Carmine delivered a beautiful reflection during solemn vespers when Luis was received. 12 Very truly I tell you, whoever believes in me will do the works I have been doing, and they will do even greater things than these. (Jn 14:12). 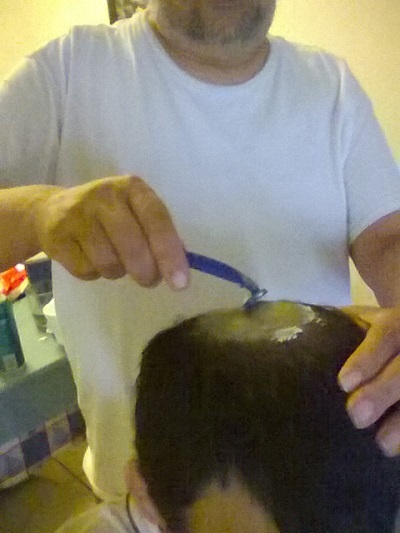 Like Alberto, Luis is also a man of profound faith and prayer. His patron saints are Saint Louis King of France, the patron of the Third Order of St. Francis, and Saint Charbel Makhluf, Maronite monk and hermit, known for his intense life of prayer and asceticism. 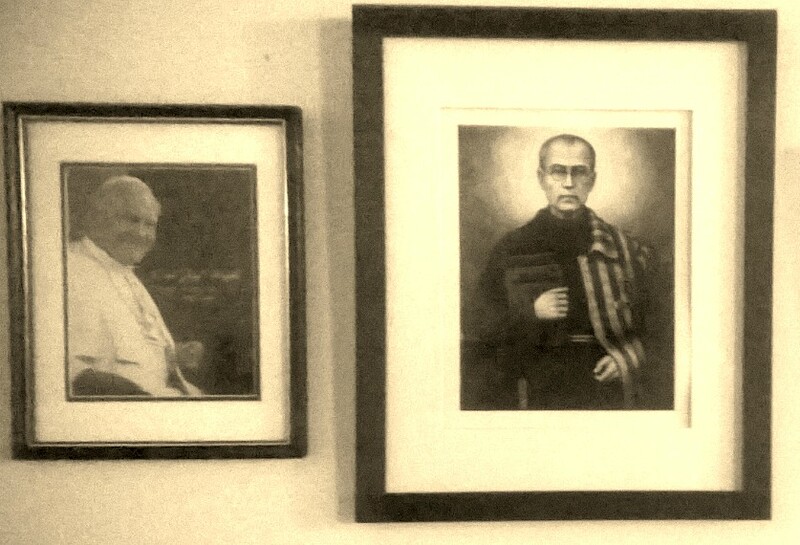 Luis couldn’t have picked better patron saints. 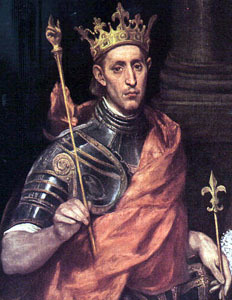 Saint Louis IX was a contemporary of Saint Francis of Assisi and king of France. He is one of the earliest secular brothers in the Franciscan family, a faithful husband and the father of eleven children. Saint Charbel was Maronite monk and hermit at the Monastery of Saint Maron where he lived a life of severe asceticism. For those who may not understand the term asceticism, it has little to do with corporal penances and much to do with the practice of the virtues. 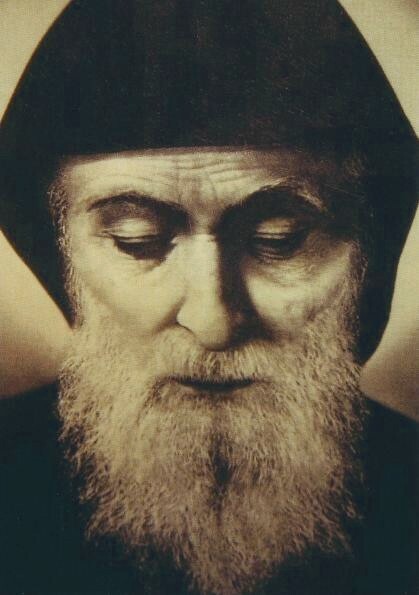 As an ascetic, Saint Charbel disciplined his mind and body to conform to the virtues of Christ and his Blessed Mother. 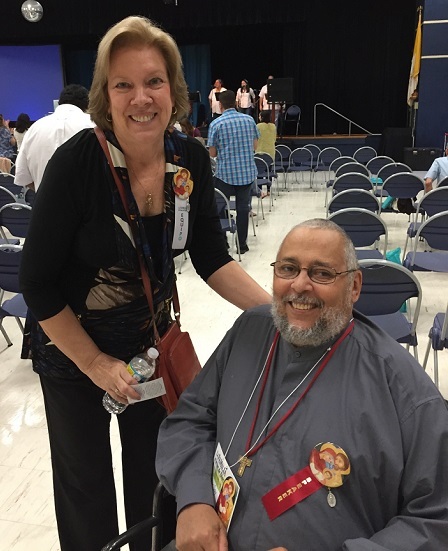 Like Saint Charbel, Luis has a very personal relationship with the Immaculate and recently completed his consecration to Mary in the Kolbe tradition. “Love each other as I have loved you. 13 Greater love has no one than this: to lay down one’s life for one’s friends. 14 You are my friends if you do what I command. 15 I no longer call you servants, because a servant does not know his master’s business. Instead, I have called you friends, for everything that I learned from my Father I have made known to you. 16 You did not choose me, but I chose you and appointed you so that you might go and bear fruit—fruit that will last—and so that whatever you ask in my name the Father will give you. 17 This is my command: Love each other.” (Jn 15:12b-17). Holy Week is the perfect time to reflect on our universal vocation: the perfection of love. It’s a time to examine what we do and who we are, keeping in mind the precedence of being over doing. Jesus calls us friends, for that is our universal vocation. He has loved us enough to call us his friends. Brothers Alberto and Luis have taken the leap of faith. Christ chose and extended his hand from the cross in friendship. Like Saint Francis of Assisi, they responded. 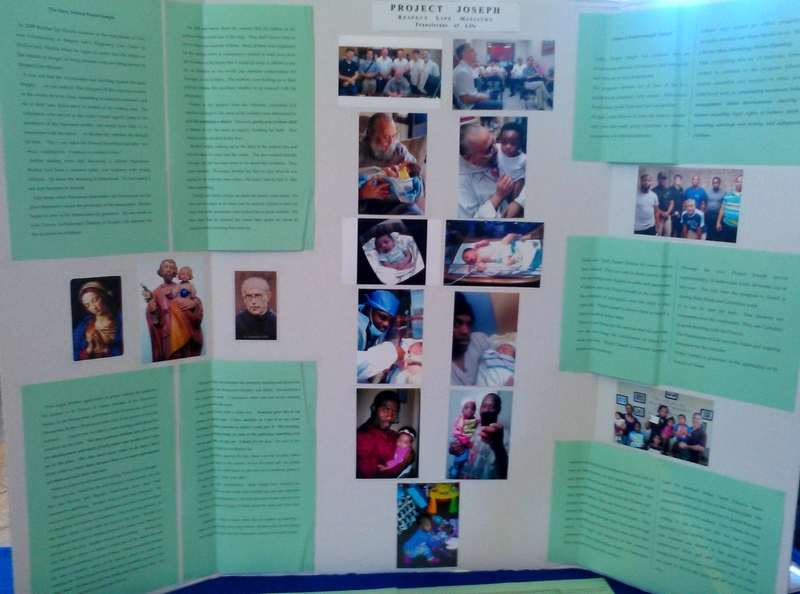 We had a great couple of days for Project Joseph and the Franciscans of Life! 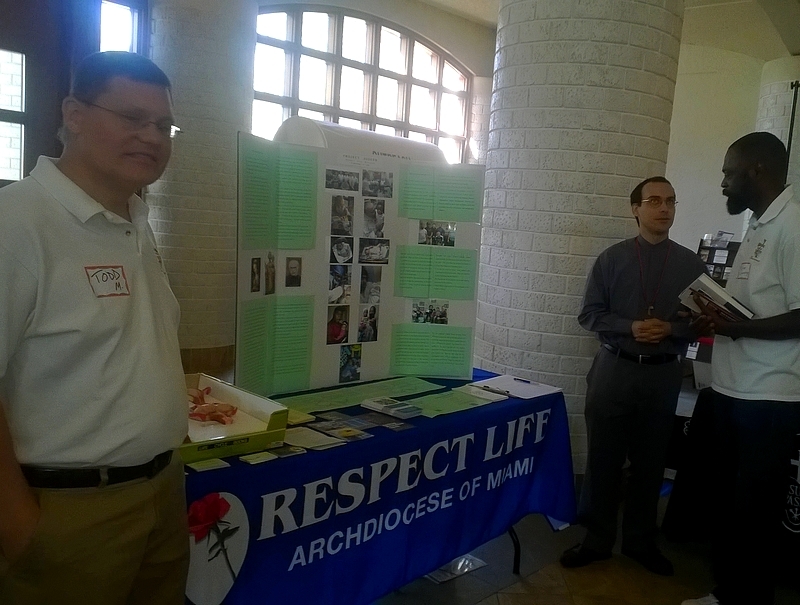 On Saturday, March 21st, the Franciscans of Life attended the 5th Catholic Men’s Conference of the Archdiocese of Miami. 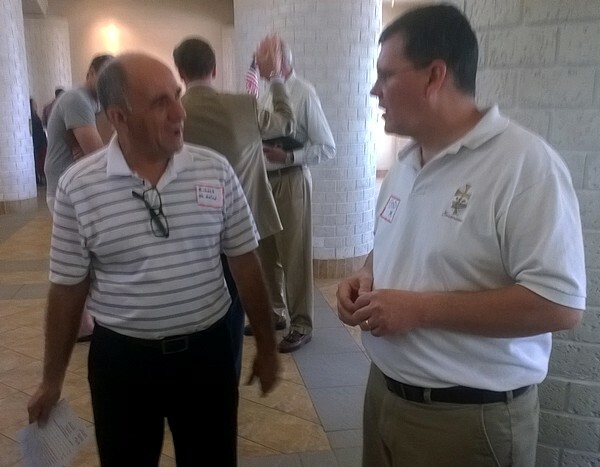 The event, which featured Catholic apologist Tim Staples, took place at St. Mark Catholic Church. 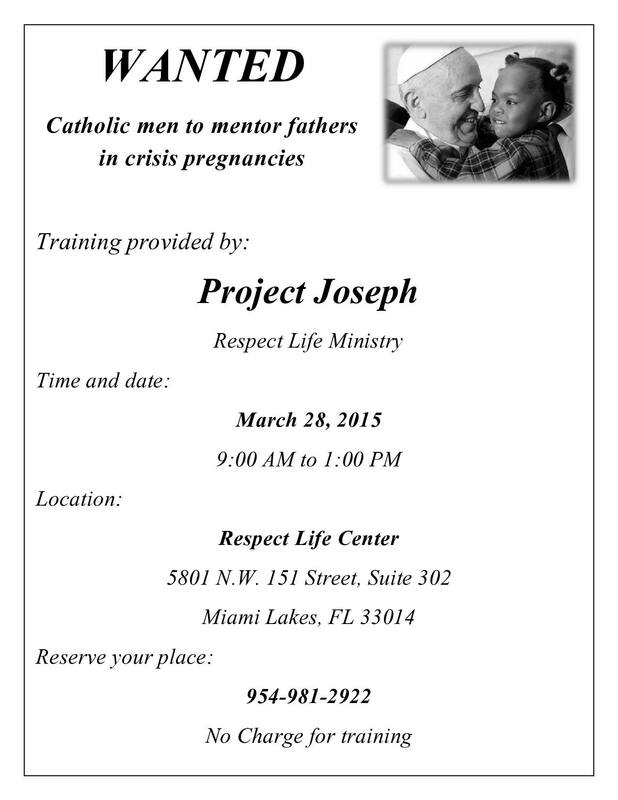 We represented Project Joseph along with some of the mentors of Respect Life Ministry. 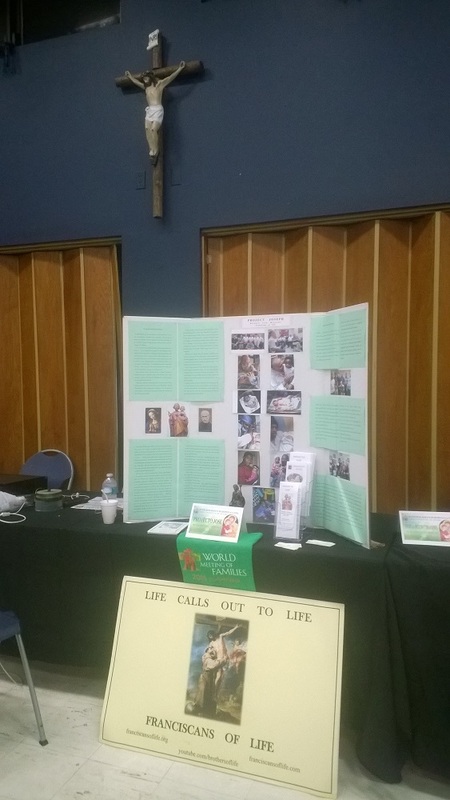 Our display included some literature and a poster describing the roots of Project Joseph and where it is today. It also featured pictures that the Project Joseph dads allowed us to share, either of their classes or of their beautiful children. 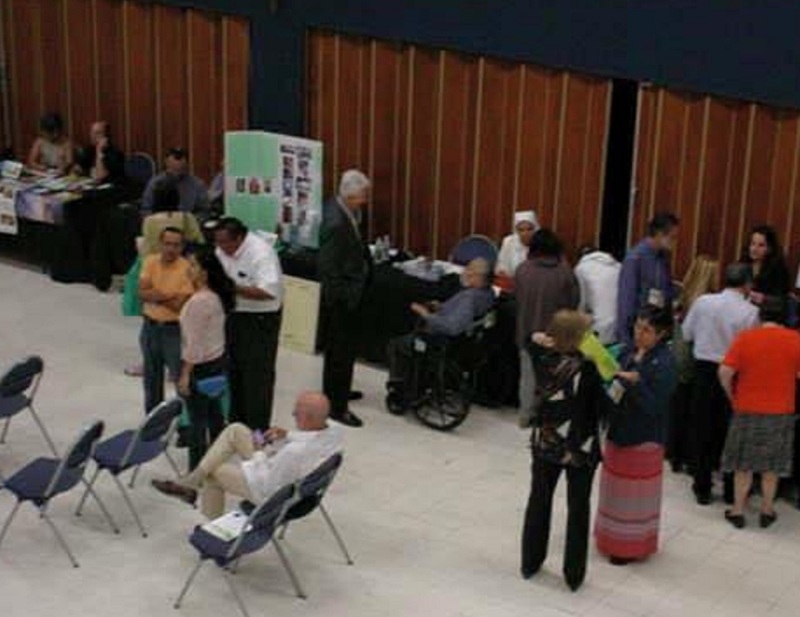 The event was well attended, and we had a chance to talk with several men, some of whom were dads themselves, and present to them information about Project Joseph, as well as invite them to our upcoming workshop. 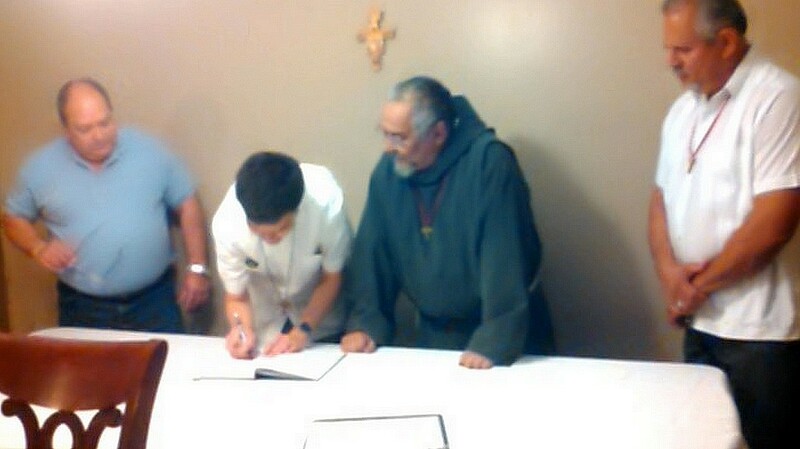 On Monday, March 23rd we had the joy of receiving Brother Luis as a novice. He received the name Brother Luis Charbel, FFV. As a secular brother, Br. Charbel exchanges the cord that holds the wooden tau around his neck from a brown one to a red one. The red signifies the Sacred Blood shed by Christ during His Passion, and constitutes for Br. Charbel a reminder that he is called to “obey as Christ obeyed, without murmuring, complaints and resentment”, in order to “live perfect charity as Christ taught us on the cross”. 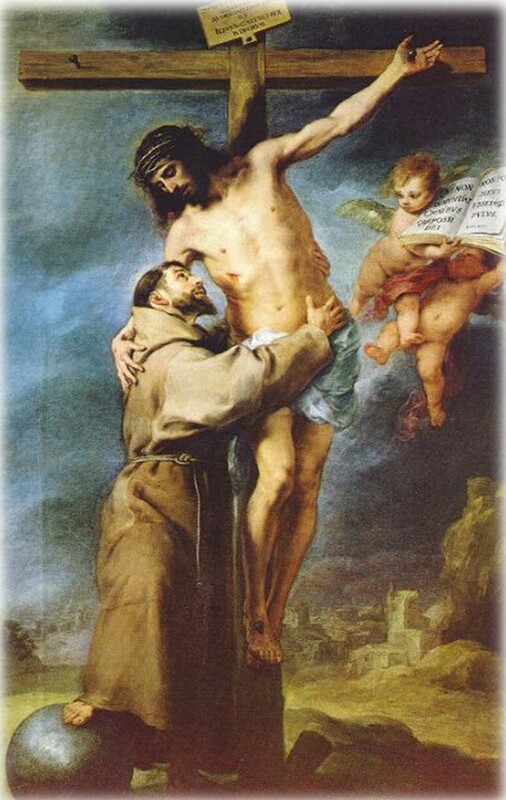 The exchange of the color and the reception of a new name are for the secular Franciscan of Life “an outward sign of his desire for transformation from the old man enslaved by sin to the new man, liberated by the Passion and Resurrection of Jesus Christ”. 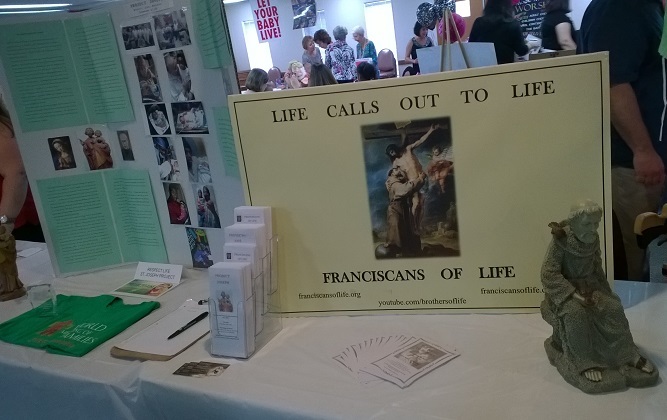 It was a beautiful and moving reception, attended by the regular and secular Franciscans of Life and their families. 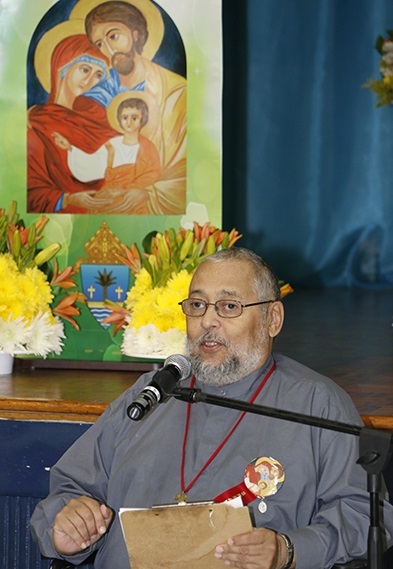 Brother Jay directed the ceremony, and Brother Bernardo offered a reflection on the call and life of the secular brothers.